Posted by: Ash on July 27th, 2015, in Guides. Tags: Amazon Rainforest, Ecuador, Yasuni National Park. Ecuador contains the far west section of Amazon Rainforest, which is where the forest presses up against the Andes and the first trickles of the Amazon River begin. An incredibly wildlife-rich area, the world’s highest diversity of animals and plants has been found in this western half of forest. The jewel in the crown of Ecuador’s Amazon is called the Yasuni National Park. This park is the most well known protected area of Ecuadorian Amazon, which contains a record breaking number of species. 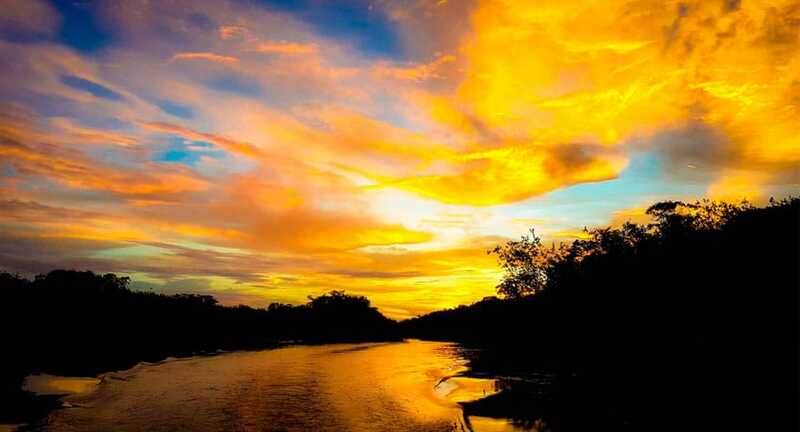 The gateway to Ecuador’s Amazon Rainforest is called Puerto Francisco de Orellana, which is also known as El Coca. 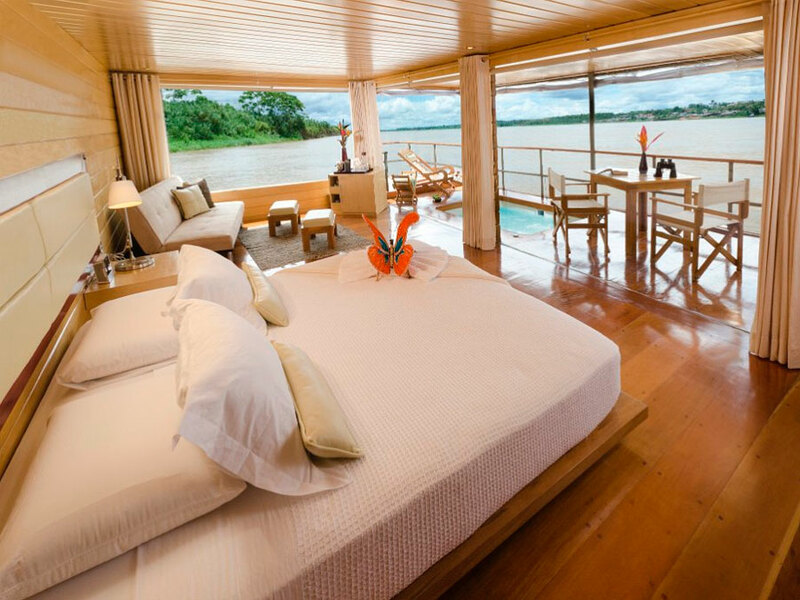 From here, you will enjoy some of the top rated Amazon lodges and river cruises. On these tours, you will travel in or near protected areas to see an amazing level of biodiversity. The two main protected areas of Ecuador’s Amazon are the Yasuni National Park and Cuyabeno Wildlife Reserve, which lay on either side of the Napo River. This river later merges with others to form the mighty Amazon and provides your way of entering the rainforest. Both the Cuyabeno Reserve and Yasuni National Park contain impressive wildlife where you can see a high diversity of animals and plants. The Yasuni area contains different clay licks to see various colorful parrots and you will enjoy guided walks through the rainforest to spot colorful birds, different monkeys, interesting reptiles and fascinating frogs. There are some excellent lodges and cruises in Ecuador’s Amazon Rainforest. Here, we will mention our pick of top lodges and cruises for tours of this incredible tropical forest. All of the lodges and cruises we will mention have access to a rainforest tower. From these, you can gaze out over the canopy to spot many different birds and animals. You can also simply enjoy this fascinating bird’s-eye perspective of the rainforest. Perhaps the most fascinating take on a canopy tower belongs to the canopy walkway system at the Sacha Lodge. The walkway is supported by three large canopy towers. These towers are then connected by a 940-foot (275-meter) long canopy walkway, which is suspended 94 feet (30 meters) above ground level. The walkway provides a fantastic place to spot birdlife. Some visitors are also lucky enough to spot troops of monkeys making their way across the forest. 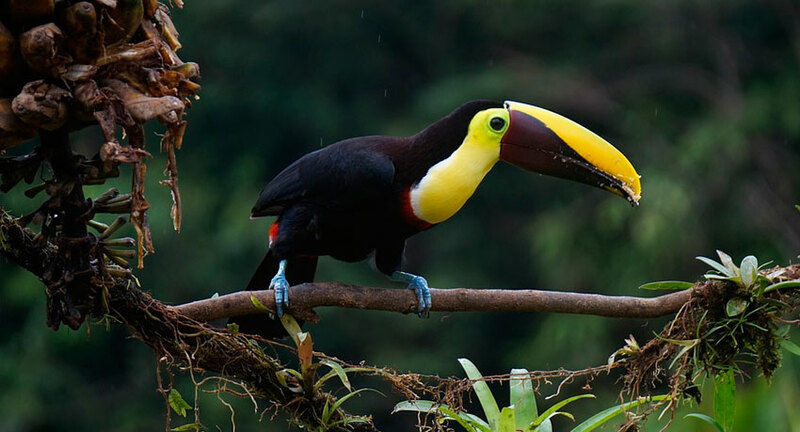 On Amazon tours from the Sacha Lodge, you will head out on guided tours into the Amazon Rainforest to spot various monkeys, toucans, parrots, and other rainforest wildlife, including some of the 500 bird species recorded around the lodge. You don’t need to be at a rainforest lodge to enjoy canopy towers, as you will also get the opportunity aboard both our recommended Amazon cruises. Aboard the Manatee Cruise, you will enjoy traveling to different areas of rainforest and into the magnificent Yasuni National Park. Enjoy the Yasuni clay lick, canopy tower, glamping (more glamorous camping), the comfortable Manatee Cruise itself, and many guided rainforest expeditions. You can also find some community-owned rainforest lodges in Yasuni and one of our favorites is the Sani Lodge. Near the Challuacocha Lake, you will stay at the Sani Lodge, which is owned and operated by a the Kichwa community. You will enjoy guided tours in the rainforest corridor between Yasuni National Park and the Cuyabeno Reserve, which provides a way for wildlife to get between the protected areas. Enjoy rainforest walks scouting for Amazon animals, climb the canopy tower for excellent birding, see the Yasuni clay lick, try an indigenous blowgun, and visit the local community. 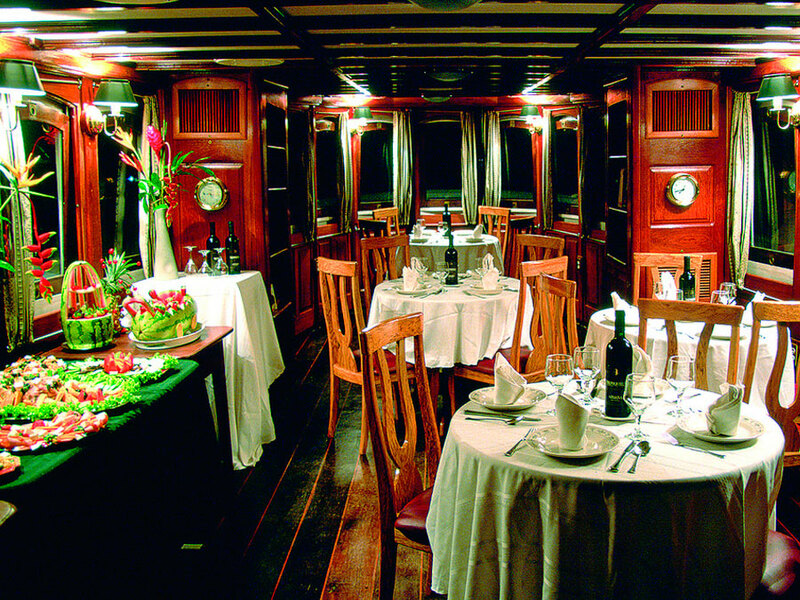 Now we have a few of the upper-end tours for a more luxurious experience of the Amazon. These are our recommendations if you would like to fully relax on a very comfortable tour or want a honeymoon in tropical rainforest. Both the Napo Wildlife Center and La Selva Lodge offer a very comfortable experience in the Amazon. 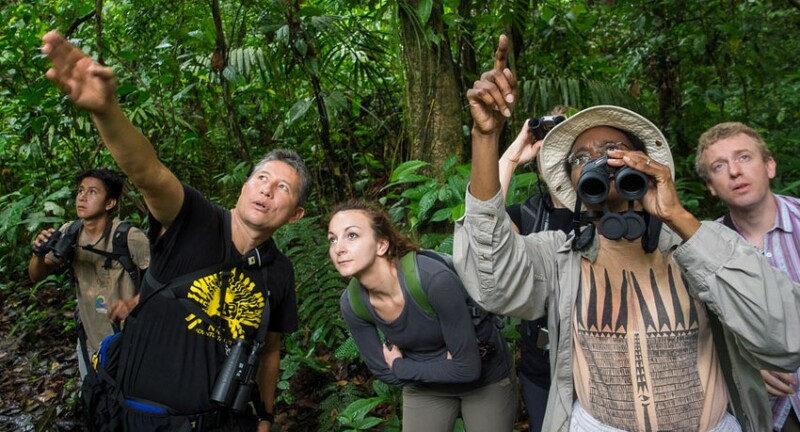 Enjoy guided tours in the rainforest scouting for howler monkeys, squirrel monkeys, capuchins, tamarins, parrots, toucans, orchids, and more with your professional Amazon Rainforest guide. Both lodges have fantastic canopy towers and offer you a little more comfort in the rainforest, while maintaining environmental responsibilities. 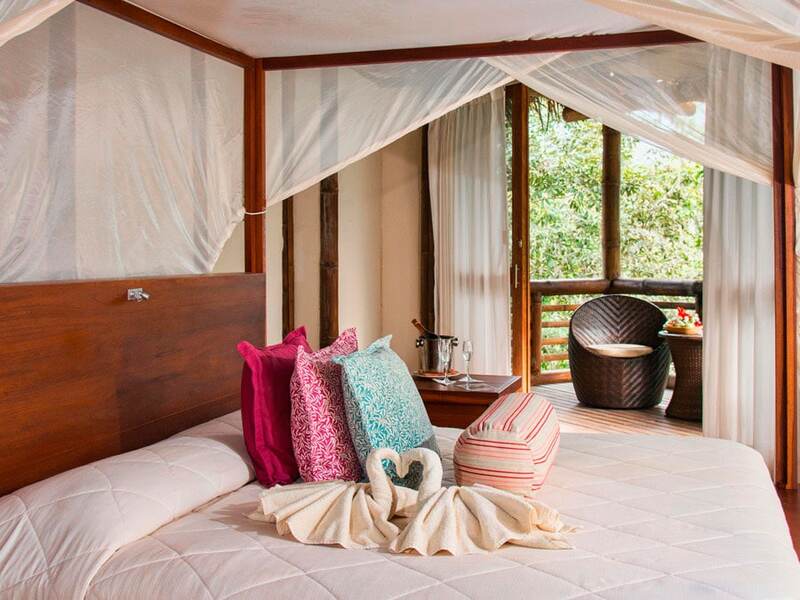 The excellent La Selva Lodge then goes a little further in terms of a luxury experience by providing a spa service, hot water pools in the family suites, a custom itinerary, and a special honeymoon program. If you would prefer a luxury cruise over a lodge, where you can visit different rainforest areas while retiring to a more contained living area, we recommend the Anakonda Amazon Cruise. Enjoy rainforest expeditions, clay lick visits, and a tall canopy tower. 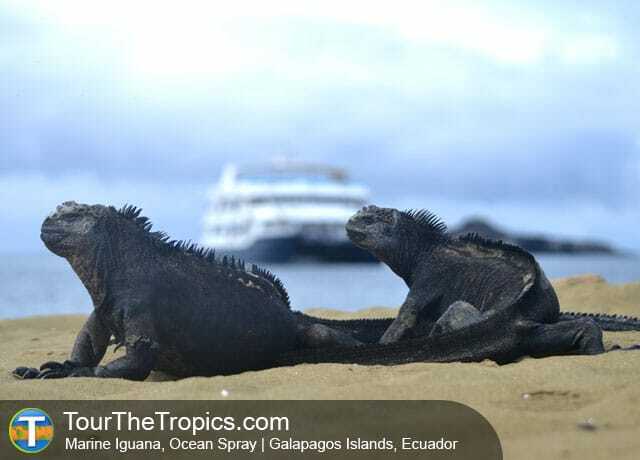 To fully experience Ecuador’s most famous nature sights, you can also combine La Selva Lodge and the Galapagos Islands on the Amazon Rainforest & Galapagos package. Enjoy three nights at La Selva Lodge, three nights on the Galapagos, and three nights at a hotel in Quito. Also inquire to modify the program. All tour pages on TourTheTropics.com send you message directly to the individual lodge or cruise for accurate and up-to-date information. Here is our list of recommended Amazon Rainforest Tours in Ecuador.